Still a capable and strong performer for gaming PCs; one of the best GTX 1080 card deals is still worthy of your consideration. 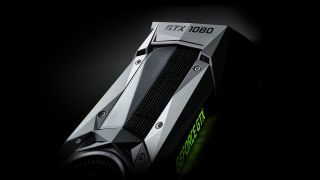 The GTX 1080 might seem like a step down in GPUs, given the 20 series cards have assumed control of the 'most powerful' and 'highest performing' mantles. However, it is still absolutely not that. The 1080 remains an excellently reliable and consistently high-performing card that's still one of the best and one of the most popular in the current market. It's also still one of our favorites due to its performance and the fact it can now be obtained for a now fairly reasonable price; meaning it offers serious bang for buck now and an ideal candidate for a gaming PC build. Apart from the newer 20 series cards, the 2080 in particular, we would still easily and enthusiastically recommend the 1080 card as being one of the best providers of graphics out there for almost any build. Read more in our review. However, the 1080 market is a busy old place so selecting the right make and model for you is tricky. Hence, this page: we've gathered up the best from a variety of makers who offer their own options to help you sift the wheat from the chaff. To check out the alternatives in both ‘directions of capability’, check out the best Nvidia Geforce GTX 1070 deals and the best Nvidia GeForce 2080 prices to ensure your bases are covered. Asus has a handful of good options for Nvidia's beast of a graphics card. The company's ROG Strix O8G has an OC mode base / boost clock speed of 1784 / 1936 MHz, which is much higher than the 1607 / 1733 MHz on Nvidia's reference card. It's also got a custom cooler which Asus says keeps the card 30 percent cooler than the reference. Gigabyte's custom cards are boosting both the clock speed and the memory speed compared to the reference card. It offers a card which has a base / boost clock of 1784 / 1936 MHz, and the memory speed is up above the 10,000 MHz of the reference version at 10,416 MHz. There's also a water cooled version of this card if you're looking to keep temperatures down. MSI's cards also have an OC mode, as well as a silent mode you can swap between depending how much performance / noise you want to get out of the card. The Gaming X 8G hits 1708 / 1847 MHz base / boost clock speeds in OC mode, and the memory gets a nice bump up to 10,108 MHz too. The EVGA GeForce GTX 1080 FTW DT Gaming ACX 3.0 may have been bumped from our high-end gaming PC build guide, but it still puts out real good performance and doesn't use a blower fan. Keep that in mind as you'll want to go with a different option if you're looking for a multi-GPU system. There have been some problems with overheating on some of EVGA's cards recently, but they should be sorted now thanks to a BIOS update. Palit's GameRock Premium Edition comes with a fancy looking front panel with a 3.12-inch LCD screen. It'll show you fan speeds, temperatures, memory and core usage, the BIOS and drivers versions, and all that good stuff. It's also got a base / boost clock of 1746 / 1885 MHz, and a boosted memory speed of 10,500 MHz. It's got juicy specs, and a nice big dual fan air cooler to keep everything in order. Zotac's GeForce GTX 1080 AMP Extreme has a whopping 1771 / 1911 MHz base / boost clock speed, and the memory is all the way up at 10,800 MHz. It needs a lot of cooling, with three fans and an aluminum heatsink, but it still manages to stay fairly quiet. All that performance doesn't come cheap though, but Zotac does have less expensive options available too. Gainward's cards don't have as high clock speeds as some of the other cards in this list, but, they're still GTX 1080s, so you're not exactly missing out. The Phoenix GLH has a very handy 1746 / 1885 MHz base / boost clock speed, but the memory remains the same as the reference card at 10,000 MHz. Inno3D has a dual slot and a 2.5-slot GTX 1080 available. The dual slot has the same specs as the reference card, but it does have a custom cooling design which will let you boost those speeds a bit yourself. The larger iChill X3 Edition is a bit beefier, with a base / boost clock speed of 1759 / 1898 MHz, and the memory is up at 10,400 MHz too. The GALAX GTX 1080 HOF is a bit of a beast. It's a three-slot, two 8-pin power connector card with 1733 MHz base and 1873 MHz boost, and there's plenty of room here to get those specs even higher with the triple 90mm fan cooler. There's a slightly less extreme GALAX card available, which will reach 1657 / 1797 MHz base / boost clock speeds. PNY also has a big old card with three fans. The GTX 1080 XLR8 Gaming OC also manages overclocks reaching 1708 / 1848 MHz base / boost clock speeds while still only using a single 8-pin power cable.